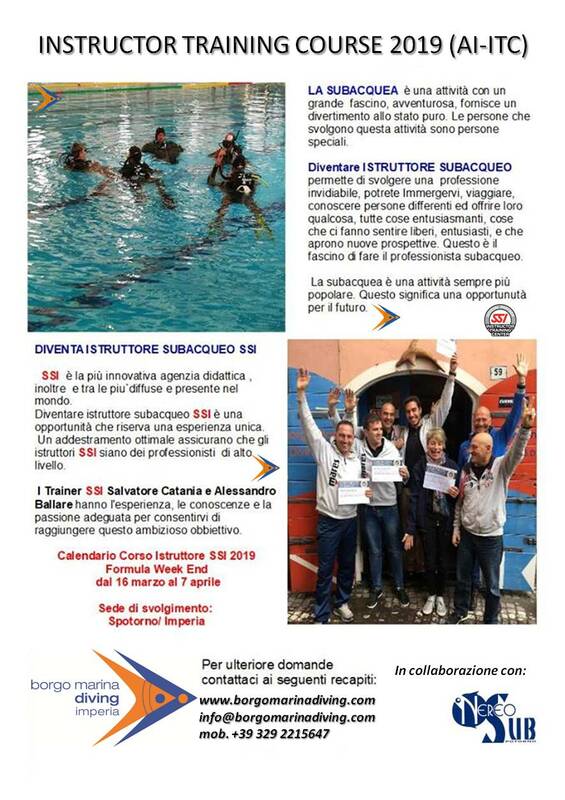 SSI Instructor Trainer Course (ITC) can be held in Imperia and/or Spotorno. Anyone interested in, please, contact Alessandro +39 329 2215647 (Imperia). Week end formula, March-April 2019.